In our modern era glutted with superhero movies, it is hard to imagine a time when they were a dearth. 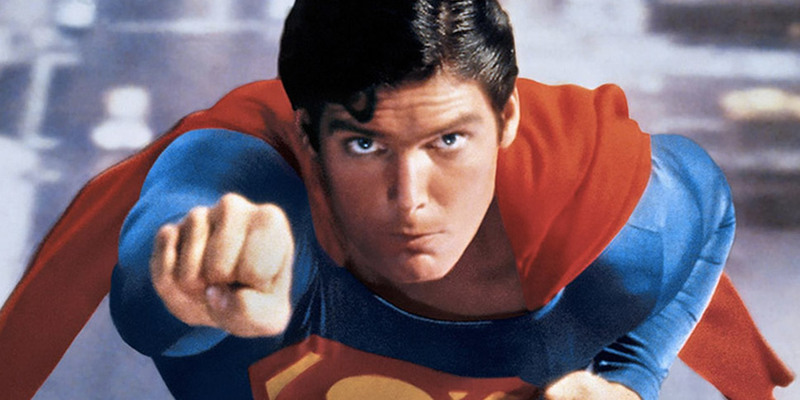 The 1970s was such a time, and when Richard Donner’s Superman: The Movie hit theaters in 1978, it must have been a breath of fresh air for those fed up with the increasing cynicism of the age. This tale of an otherworldly being who comes to protect the people of Earth has captivated and will continue to captivate myriads of people young and old. In particular, its message that there is a divine purpose for each of our lives is one that can inspire us all to become the heroes we were created to be. While little Kal-El does not yet understand these words, they are imprinted on his heart, and as he later searches for meaning and purpose on Earth, it is his father’s love that resurfaces in his heart and shows him the way. When young Kal-El lands on Earth, he is lovingly taken in by Martha and Jonathan Kent (Phyllis Thaxter and Glenn Ford), a barren couple who has always longed for a child. Not knowing his Kryptonian name, they name him Clark and give him a pleasant rural-American upbringing on their small-town farm. As Clark grows up, he discovers that he has incredible superhuman powers with which he is not quite sure what to do. His adoptive parents have taught him to keep these powers hidden out of fear that people might come and take him away, but as he struggles to achieve social acceptance in high school, he wishes he could just show off his super strength and speed to become an athletic star. While Jonathan has not been able to tell Clark his specific purpose in life– that job will come to the spirit of Jor-El– what he has told him is perhaps far greater, which is that his purpose is a great and noble one. Clark could use his powers to score touchdowns and achieve fleeting popularity, but Jonathan knows that this will never make him happy. Clark takes this beautiful wisdom to heart, especially because it is the last thing his adoptive father ever says to him; he dies of a heart attack moments later. As we each struggle to find the meaning and purpose of our own lives, we too can take Jonathan Kent’s words to heart and remember that we are here for a reason, and it’s not just to show off our talents for the sake of popularity. To leave one’s comfort zone to fulfill her or his divine purpose takes great courage, and that is exactly what young Clark must muster as he subconsciously hears the calling of his birth father through a green crystal that was placed in his rocket ship to Earth. Knowing that he must leave home now to discover his greater purpose on Earth, he says farewell to his sweet mother in yet another emotionally-powerful scene. “I have to leave,” Clark gently tells her while holding back tears. She softly replies, “I knew this day would come. We both knew it from the day we found you.” After Clark tells her where he is heading and assures her that a good family friend will take care of her, she goes on to tearfully say, “Remember, son. Always remember.” And he always does. This tear-jerking scene is an important reminder that we must always remember, cherish, and be grateful to the women and men whose immeasurable love has shaped us into the people we are today. It goes without much saying that after communicating with the soul of his late father Jor-El, Clark Kent does discover his true purpose on Earth and becomes the heroic Superman. While we Earthlings may not be able to fly or do something superhuman of any kind, we each have a divine purpose on this Earth and have the capacity to become true heroes strengthened by the divine powers of faith, hope, and love. This destiny for heroism that we each have need not be overwhelming. As St. Mother Teresa once said, “Not all of us can do great things, but we can do small things with great love.” Let us therefore not underestimate the immense power of great love and go out into the world with our hearts set on showing every person we encounter how immeasurably loved she or he is. Even Superman’s heroics could never compete with the importance of this sacred mission we each have.